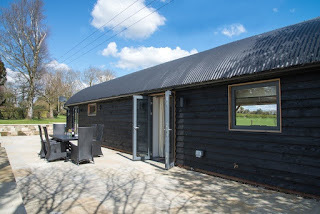 This luxury modern studio is situation on our beautiful organic working farm. We have converted and refurbished a Calf Shed to modern high standards with the aims of hosting those who need a more accessible accommodation whilst not compromising on style and athestics. This property adds to our already established and successfull holiday rentals located next door, this allows us to be flexible on guest requirements and larger partys. 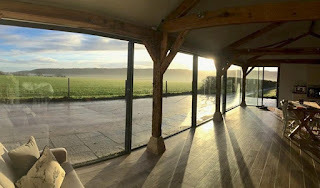 The Calf Shed has stunning views of the historic downs and The Fovant Badges and can bring the inside outside with the large opening glass facade. Guests can enjoy the local countryside including walks, cycling, local pubs and restaurants, visits to historic market towns such as Bath, Shaftesbury and Salisbury, with many nearby attractions such as the New Forest and Stonehenge.